Spring 2014 Issue of the Standard Newsletter! We invite you to check out the spring issue of Standard’s FinishLine newsletter, packed with new customer success stories, industry updates, and the latest product introductions in feeding and finishing! We hope this publication will serve as a valuable resource for your business. 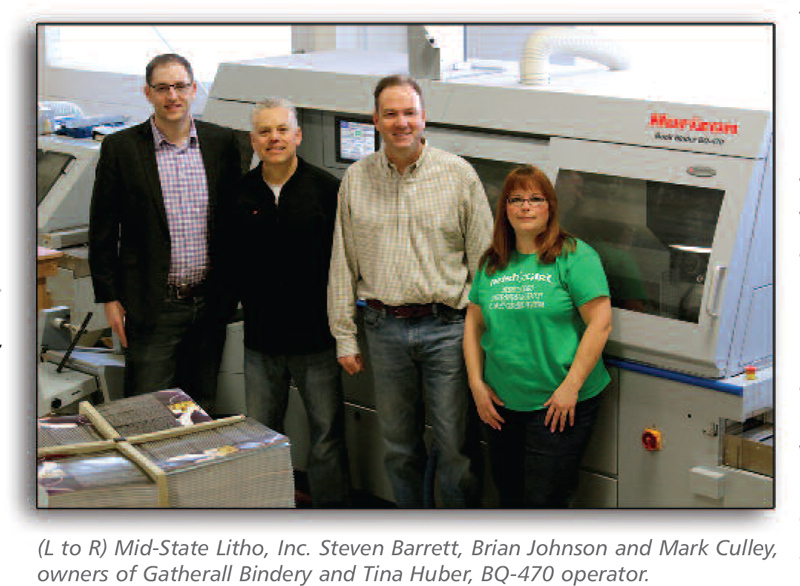 Featured Article: EBSCO Media Birmingham, AL expands into the custom book publishing arena with the Horizon BQ-470 PUR Perfect Binder, HT-30 Three-side Trimmer, and a new Standard Hunkeler Cut/Stack solution. Ask the Expert: Standard’s Customer Service Team offers 110 years of combined experience serving Standard customers, dealers, and partners with dedication to outstanding support. Show Wrap-up: Standard showed various finishing solutions – BQ-270 Binder, BQ-280PUR Binder, HT-30 Three-side Trimmer, and the CRF-362 Creaser/Folder – and also premiered the Horizon SmartStacker in-line with the HP Indigo 10000 Digital Press at Dscoop. Customer Snapshots: Puerto Rico-based Model Offset Printing has been using Standard Horizon technologies to grow its business since the 1980s, while BR Printers’ Kentucky production facility relies on its new Standard horizon BQ-470 Perfect Binder with in-line HT-1000V zero make-ready three-knife trimmer to excel at their book-of-one projects. This entry was posted in Vendor News and tagged FinishLine, Horizon, newsletter, Standard on July 11, 2014 by MSL.